Anyone who supervises construction work or demolition (even a crew of one) needs a license. Construction Supervisor License: When is This a Requirement for Massachusetts? One or Two-Family dwellings, any building no matter the size. Buildings that are less than 35,000 cubic feet with enclosed space. Important: Any building larger than 35,000 cubic feet will need the control from an architect or engineer. It’s important to know that multiple municipalities in Massachusetts are completely separate from the requirements of the state, which means they typically require contractor licensing for bigger buildings. It’s crucial to check with local municipalities to obtain the licensing requirements, as well as state requirements. 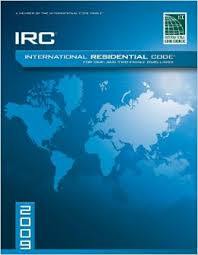 This license will be sent out via the Board of Building Regulations and Standards. The candidates for the license will need three years of prior design experience or building construction experience. 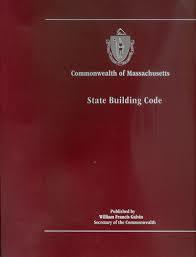 The individual is also required to complete and pass the written part of the exam for provisions, regarding Massachusetts Building Code, as well as reference standards, to be able to receive a license. Step One: Complete and send in the Prometric exam form for registration. It would need to be mailed to Prometric. Step Two: Typically 10 days after sending in the registration form for the exam, you will need to call Prometric for scheduling of the exam, as it is by appointment only. Step Three: Study for the exam. There is a pre-licensure course to study with. Step Four: Complete the exam, and don’t forget your required identification to bring with you. Step Five: Upon passing the exam, the final score report will include the instructions for obtaining licensure through BBRS. The form that will be submitted to Prometric, known as the form for CSL application, can be viewed at http://www.mass.gov/eopss/consumer-prot-and-bus-lic/license-type/csl/construction-supervisor-license.html. The pre-exam qualifications can be viewed on page three. Are you eligible for the CSL exam? One: You must be at least 18 years of age during the time of examination. Your experience with work should not be consecutive. However, you are required to document at least 36 months of experience with full-time work. For the exam registration form, it’s required to include the year and month that you first started and ended working for your employer, as well as any dates if you served the military. If you have any construction experience from the military, it may be accepted. Completion and passing of a three or four-year vocational high school, or any other vocational school within the building construction field is enough for one year of the three required years of experience. It’s required to have completed and passed a Bachelor degree program from a university or accredited college in the field of technology, engineering, science, or even architecture, and it should have been at least two out of three years for experience that is needed. Any union affiliation will not be accepted for work experience. It’s crucial to state the addresses and names for any employer that you work for as a union member. It’s required to have worked a full-time job for an employer that you have listed on your form of registration. There will be no part-time employment that can be counted for the 36 month experience requirement. Any active military service is considered a full-time employment. If you happen to be an independent contractor, you must state the company address and name, as well as years you have been self employed and any duties you have been performing. Three: Make a list of any duties that are related to the building construction and design field. Avoid only adding your title on the form of registration; you should also include duties that you have done for your title for each employer that you list. When you document military service with construction experience, be sure to write down the specific duties that were involved, and not just writing down that you served the military. Four: You will be required to include a letter that is notarized of attestation from the military or your employer. Five: Include a signature that is notarized that indicates that you have understood the entire bulletin, that you are giving factual information on your form of registration, and that you have paid and filed all state taxes. All information that is given will be used to determine licensure eligibility. Six: It’s a requirement to not have passed an exam within the same license class prior, or obtained a license within the exact same class. There is an exception for individuals with licenses who have went over the renewal period that was prescribed by regulations for license. 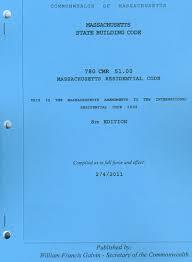 Massachusetts License for Construction Supervisors Exam: Where to Take It? There are some local municipalities that have a requirement to be licensed when it comes to the above contractors. It’s important to check with the local building department regarding this topic. Construction Supervisor License in Massachusetts: Who Issues It? 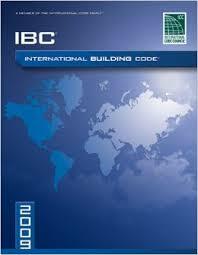 The license is typically issued by Board of Building Regulations and Standards. The candidates for the license will be require to hold a minimum of three years of design or building construction experience, as well as completing and passing the written part of the exam regarding provisions, in order to receive licensure. Complete any required continuing-education credit. Obtain certificates regarding completion. Complete and send in the renewal application via mail. Attach any necessary payments, as well as CEU certificates. Licenses will need to be renewed each every two years, along with a fee of $100.00. There will be a one-year grace period for the renewal of licenses after they expire. There will be an added $100 fee for any licenses which can be renewed up to two years after the date of expiration. After that, it will be necessary to complete an exam for a new license. Massachusetts state will sent out an application for a license renewal two months before the renewal date. You will not be able to apply for a new license before receiving the application from Massachusetts. It is required to complete the continued education, as well as obtain certificates of completion and attach them to the renewal application, and the renewal fee. After Massachusetts receives the renewal, the fee, and certificate, they will send out your new license via mail. A renewal date will always be every two years, and will be based on each individual’s birthdate. Continued Education in Massachusetts: Which Licenses Need It? Each individual who has a expiration date for a license of July 1st, 2013 or after will be require to need continuing education in order to renew. The continued education will be needed each every two years on each birthdate. 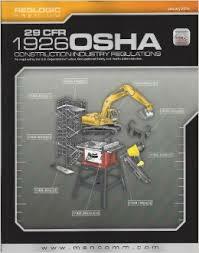 Unrestricted Construction Supervisors: The continued education for this is 12 hours each every two years. Restricted Construction Supervisors: The continued education needed is 10 hours each every two years. The most hours that are required for any individual who holds a license is 12 hours, and it does not matter how many categories are on the licensure card. The individual who holds a license within the specific category (1, 2, or 6 will need to pass the six hours of credit for continuing education) It’s essential to remember that the license category will require specific content during each training, which includes lead safe practices and workplace safety. Licensing Law: When Did it go Into Effect? The law had went into effect on the date of July 1st, 2011. 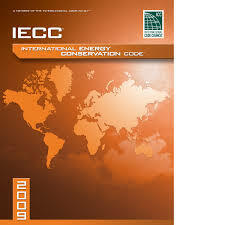 However, it also effects any licensees who renewed before or on the date of July 1st, 2013 as it had begun after the two-year cycle for licensing regarding each specialty contractor and construction supervisor. Upgrading License to Unrestricted From Restricted: How is This Done? It’s required to retest with the unrestricted license through Prometric, and its crucial to apply again for the Unrestricted CSL. After passing the exam, the report of the score will include the instructions when it comes to applying for the license with the Department of Public Safety. There are two allotted years after the date of passing the examination. What to do After an Expired License or Missed Renewal Date? Question: How do I register my construction company in Massachusetts? What forms do I need to register my new company in Massachusetts? Question: How do I look up a company in Massachusetts or see if a company name is available to register?